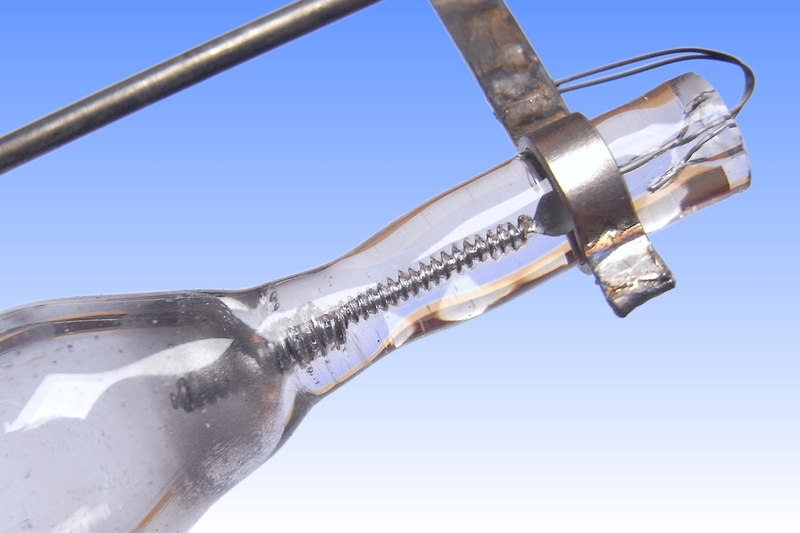 Within a year of Philips' 1936 invention of the MB high pressure quartz mercury lamp, the technology had been embraced by German, British & American manufacturers. Whereas the American versions were basically copies of the Dutch original, the German and British manufacturers took an interesting departure in the quartz-to-metal seal design. 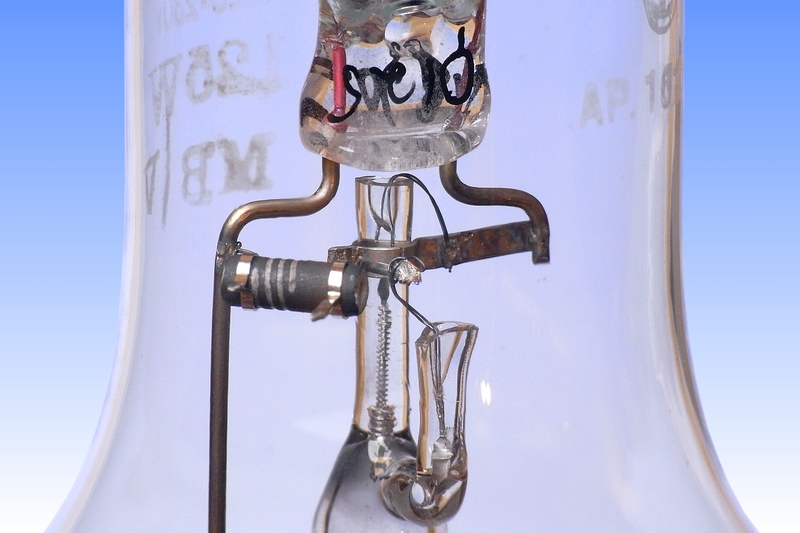 Early Philips literature claims that the development of the MB lamp had to wait for their 1935 development by Cornelis Bol, of a suitable seal which caters for the mismatch in thermal expansion between quartz and metal. 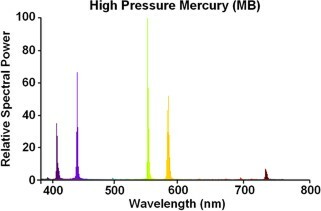 He employed a stack of glasses having graded expansion coefficients to seal in a small rod of tungsten. However much earlier in 1931, the Hungarian Nobel-laureate Dr. Denis Gabor invented a seal based on molybdenum foil, while he was developing a Cadmium lamp at Osram in Berlin. 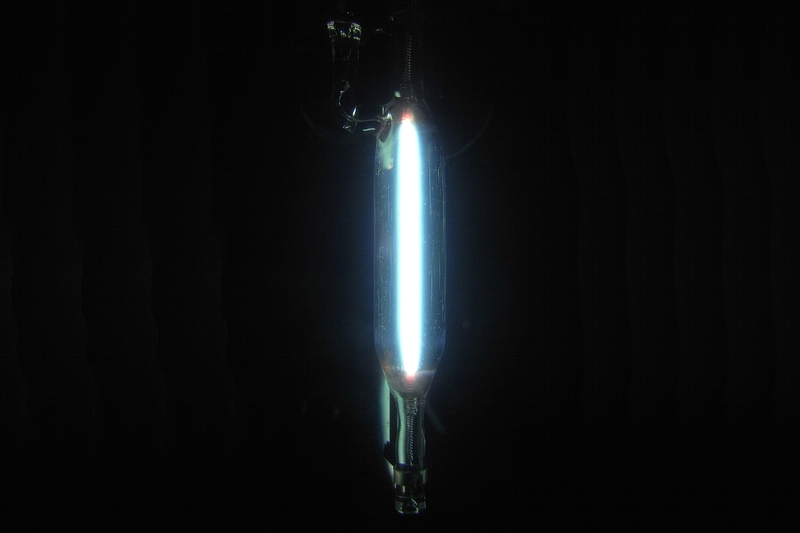 The foil dimensions limited the amount of stress they placed on the surrounding quartz, preventing fracture. In 1933 with the rise of Hitler, Gabor fled to England where he worked at BTH and further improved his seals. 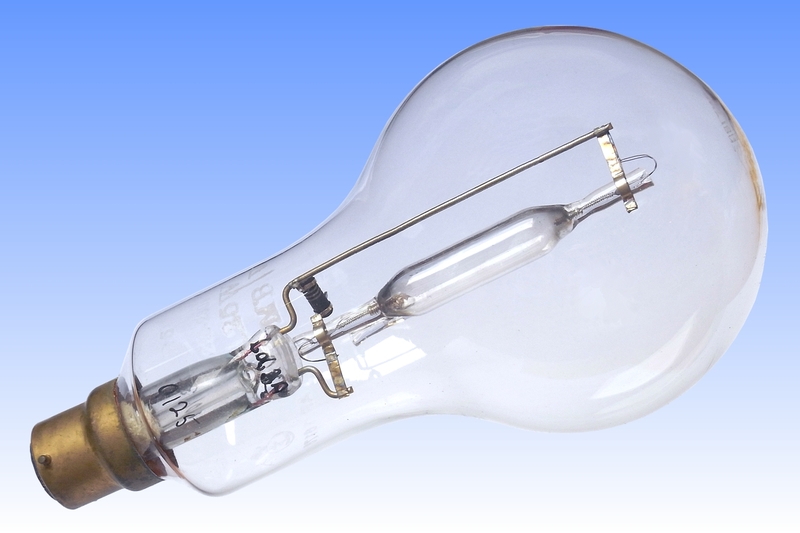 When the Germans and British came to copy the original Philips lamp, they both adopted Gabor's seals. It is not understood why Philips chose not to adopt Gabor's seals. 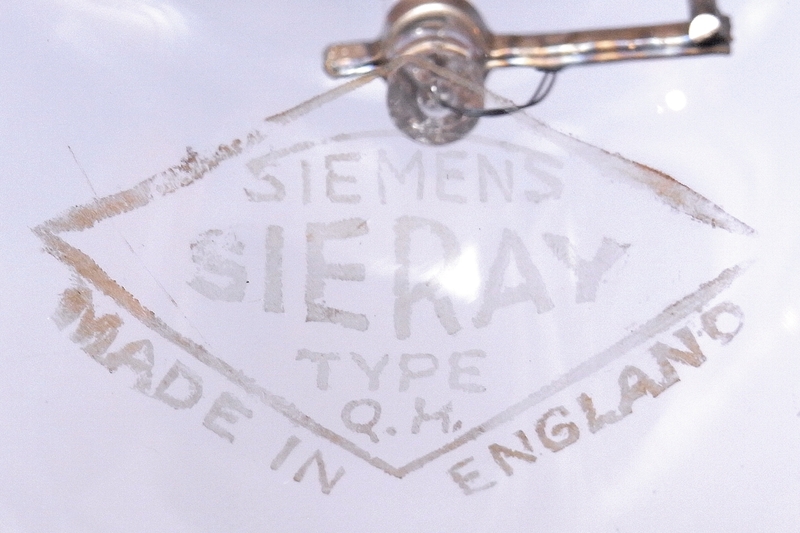 Around 1939 the Siemens seal, used in this lamp, was developed by the Preston laboratories of that company. It aimed to overcome the practical difficulty of welding wires to the fine moly foils, by making the wire and foil from a single piece. The wire was flattened at one point followed by electropolishing to create the feathered edges. Tungsten electrodes having long coiled ends were slipped over one wire without need for welding to the delicate foil.